I am pregnant – what happens next? 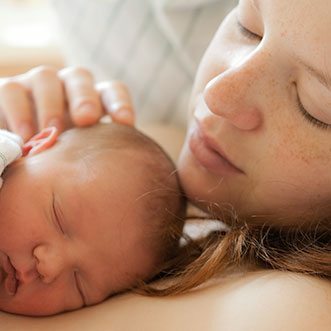 How do I find out if my baby is healthy? Listeria in pregnancy – what foods should I be avoiding? Thorough investigations and individualised treatment is essential to achieving best possible fertility outcomes. I’m a fertility specialist with Queensland Fertility Group, as a team we are dedicated to being the leading minds in fertility care and are part of Australia’s largest group of fertility experts, scientists and nurses, Virtus Health. We provide the very best fertility treatment and services with access to the latest assisted reproductive technology and the highest standard of care. At Queensland Fertility Group we are committed to providing anyone aspiring to have a child the best opportunity to create their family. We achieve this through offering a variety of fertility services from simple, minimally invasive treatments such as ovulation induction and intrauterine insemination, to more advanced treatments such as in-vitro fertilisation, intra-cytoplasmic sperm injection, pre-implantation genetic diagnosis (PGD) and a dedicated donor program for anyone needing donor eggs, sperm or embryos to have a baby. Our founders helped pioneer IVF in Queensland over 30 years ago and were responsible for the birth of Queensland’s first IVF baby. We continue to be leaders in this advanced field of fertility science and clinical research. Find out more about Queensland Fertility Group. Delivering choice, control and continuity of care. Dr Kretowicz consults at two locations in Brisbane: the Alexandra Building on Wickham Terrace and at the Ramsay Consulting Suites at North West Private Hospital. Contact us today on 07 3831 4090 or through our contact form or make an appointment to discuss your health or fertility goals. To book an appointment please contact our practice on 07 3831 4090 or visit the link below. Our team are dedicated to providing high-quality patient care and management in a supportive environment.